I made a SUPER delicious and quick lunch today. Baby McDorkin, soon to be 2, annihilated his and then stole mine. I almost went into a fit of depression. You can adjust all of the amounts to how much you are making. 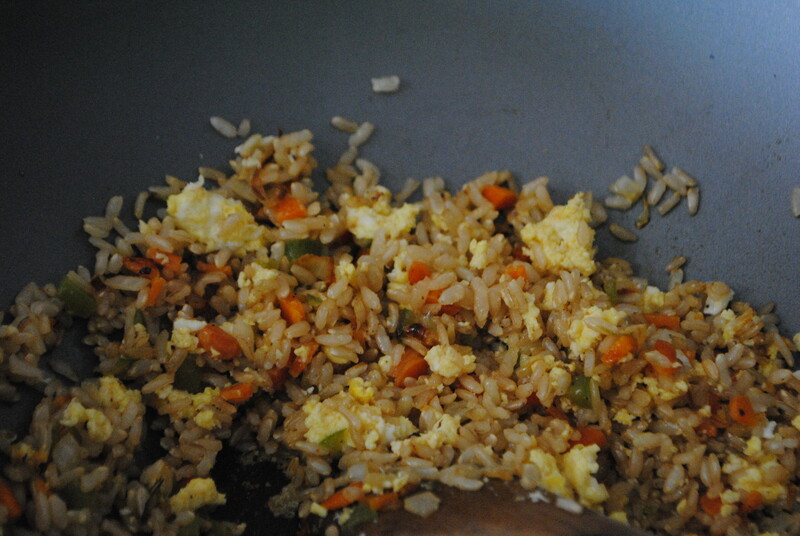 This came out to one cups worth, so if you want 2 cups of fried rice, double the rice recipe and add extra vegetables. Easy peasy. First, cook your rice until tender. 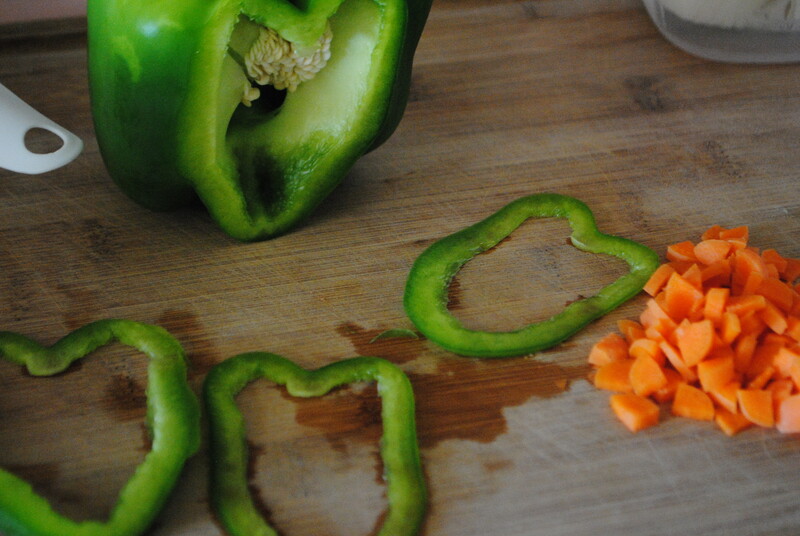 In wok, put a little olive oil and all of the diced veggies. Sautee until nice and soft and the house smells like you could eat it. Add the rice right into the pan and soy sauce and mix it through. Push all of the rice to the side and crack your egg into the pan and scramble it. Once it’s cook through, mix it all together. Add garlic powder and black pepper to taste. Uh-mazing. 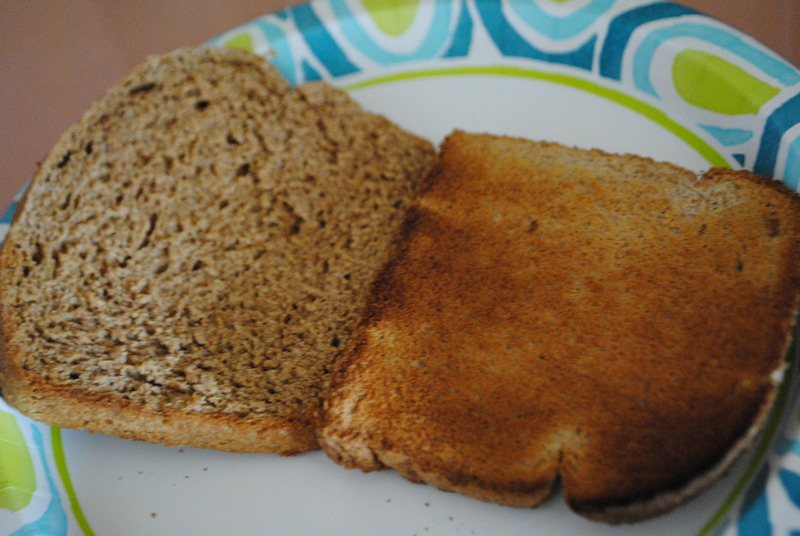 I took a side by side of a piece of bread from the super market and a slice of bread from a loaf that I made. The loaf I made is 100% whole wheat and it’s super yummy, though I have been refraining and I make it for my little one who is addicted to peanut butter and jellies. This entry was posted in Food, Uncategorized and tagged bread, brown, carrot, easy, fried, healthy, lunch, onion, pepper, rice, side dish, simple by themcdorkins. Bookmark the permalink.